The Antony Estate in Cornwall is home to the Carew Pole family and is managed by the National Trust. The estate consists of a large country house and beautiful landscaped gardens, surrounded by sea on three sides. 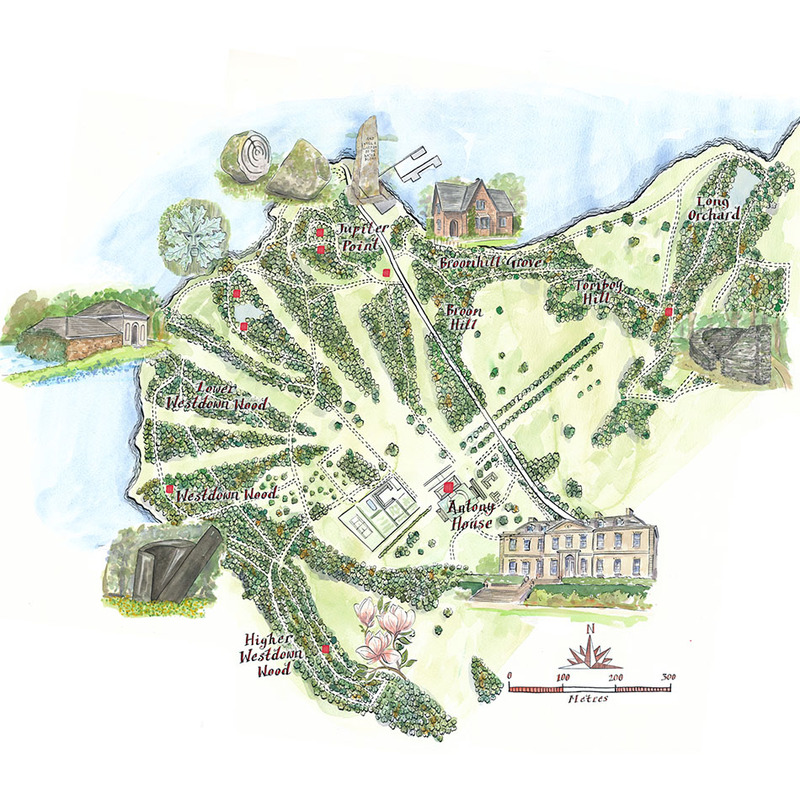 The woodland garden is owned by the Carew Pole Garden Trust, who requested a map of the estate to enhance the visitor experience and make the estate more memorable. 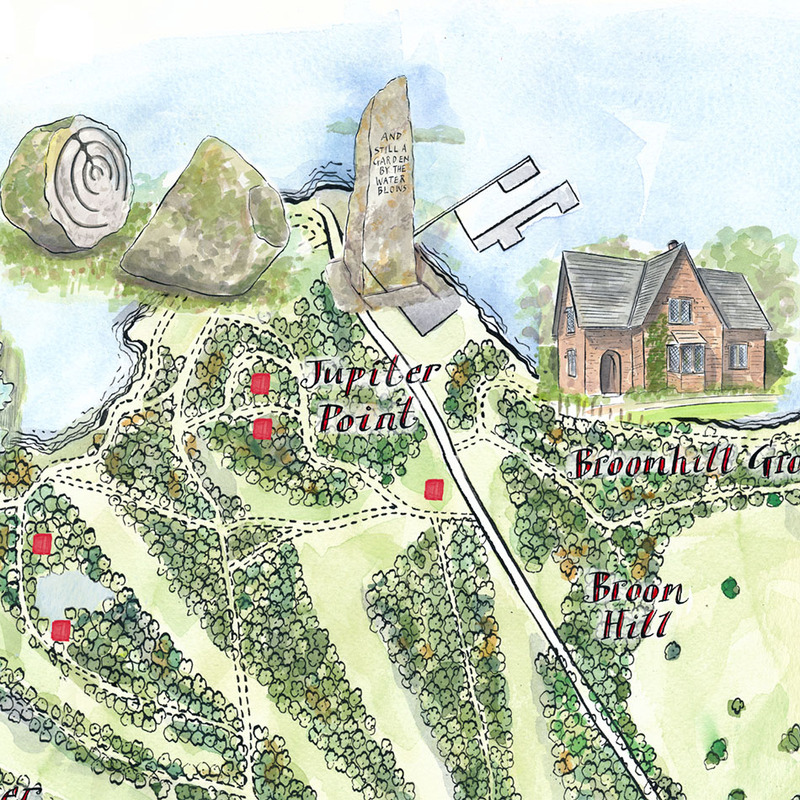 Having seen our wide range of work with illustrated maps, the Trust contacted Lovell Johns to create a particular water colour style of map, similar to one we had already produced for the Castlerigg Hall campsite in the Lake District. 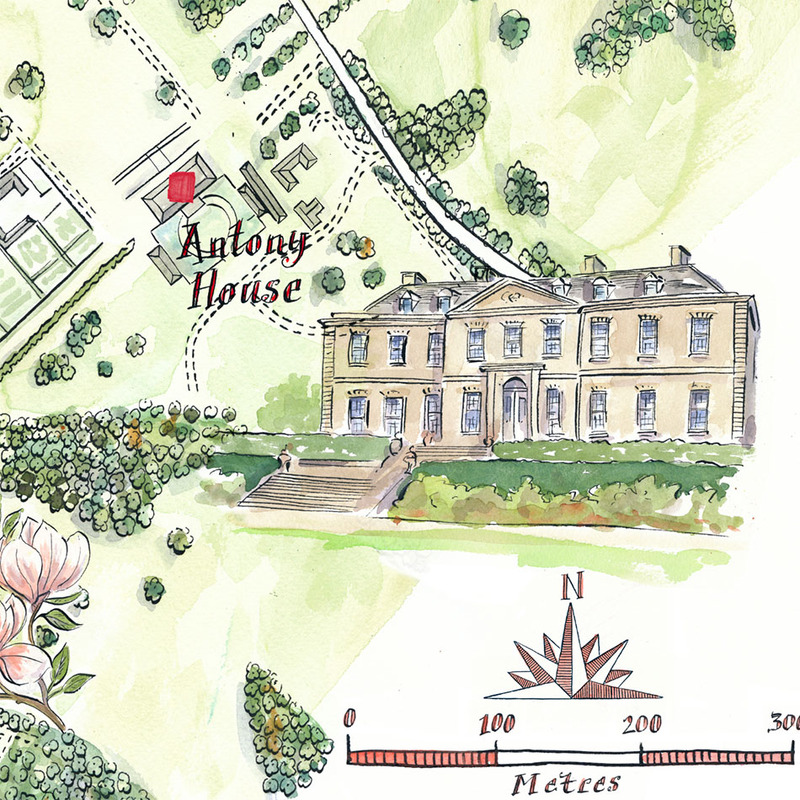 The Trust supplied us with a marked-up map with the extent to be included, as well as photographs of the key landmarks they wished to highlight within the gardens. We consulted with the Trust throughout the entire production schedule and showed early drafts of the illustrated map. The base map was first created as a watercolour painting and following this, individual icons were drawn using Photoshop, so they could be moved and scaled as required and could be fully editable on the map. The final version of the map reflects the beautiful style of the garden and is hand-lettered, which complements this style well. We supplied the client with the final map as a PDF, for use in leaflets and promotional material and Lovell Johns also arranged for the map to be enlarged and printed onto an aluminium cored material (Digibond) for display outside. The boarded maps were delivered to the client in time for the estate to open in Spring 2017 and were very well received.